Families may order our new spiritwear items from A to Z Wear or Basement Printing. There are online links to both below. If ordering online you must pay with a credit card. You may also contact the office to get an order form if you wish to pay with cash or check. All items ordered from these companies will be delivered directly to St. Joseph Consolidated School. Please indicate if you wish this to be a gift for the student and do not want them sent home. Each class has an assigned color t-shirt that has #sjcstraditions on it. We will be placing an order for these shirts on August 31, 2018. We place them periodically though out the school year. Please print out the form below and send it to the school office with payment if you need ot order a shirt for your child. St. Joseph Consolidated School requires uniform attire for ALL students. In order to maintain focus on schoolwork, students must refrain from dressing in any manner which is identified by staff or administration as distracting from the business of school. All students should maintain acceptable standards of cleanliness and personal hygiene to keep from being a distraction and concern to others. A student appearing at school who is not meeting the requirements of the dress code, will be asked to call his/her parents/guardians in order that suitable clothing can be brought to school. The student will initially receive a warning for non-compliance. Students will be assigned conduct points if warning(s) are ignored. PLEASE NOTE: IF YOU HAVE ANY QUESTIONS, PLEASE CONTACT THE OFFICE BEFORE PURCHASING UNIFORM ITEMS. THE UNIFORM CODE WILL BE ENFORCED. girls may wear (in the ear lobes) ONE pair of earrings in conservative style. NO oversized dangling earrings are permitted. Approved uniform pants are plain, navy-blue, twill pants or shorts only. Shorts must be no shorter than six inches from the center of the knee. Girls have the option of wearing the St. Joseph Consolidated School plaid or navy blue uniform jumper, skirt, or skort. All skirt lengths must be four inches from the center of knee. For the sake of modesty girls may wear tights or shorts under their uniform skirts. They should not show beneath the hemline. In winter months, girls are permitted to wear sweatpants under their uniform skirts, but these must be removed upon entering the classroom. Approved uniform shirts and blouses are plain white and must have a collar. Choices include a long or short sleeved dress shirt/blouse, a long or short sleeved golf-style knit shirt, or a turtleneck. Shirts must be worn tucked into the waistband, and sleeves may not be rolled up. The only approved color for uniform fleece, sweatshirts or sweaters is blue or gray purchased from our approved suppliers. Our approved providers are A to Z Wear or Basement Printing. Ordering information can be found on our school website A shirt or blouse with collar MUST be worn under the sweatshirt or sweater. NO hooded sweatshirts/sweaters or sweatshirts/sweaters with full zippers are allowed to be worn during school hours. Only 8th grade students will be permitted to wear specially designed hooded sweatshirts with their names imprinted on them. The design and wording must be approved by the principal. Color choices for these sweatshirts will be limited to navy blue, or gray. Approved colors for socks for boys and girls are: SOLID white, royal blue, navy blue and black. Socks must be clearly visible at the top of the shoe. Girls may wear full pantyhose type stockings or knee-high length socks in the approved solid colors: SOLID white, black and navy blue. Approved shoes for wear with the school uniform include gym shoes or dress/casual leather shoes. Gym shoes these days come in many colors and patterns. Students are permitted to express their individuality and personality by selecting a desirable solid (predominately solid) color. Gym shoes with highly visible (distracting) graphics, designs and patterns are not permitted. NO gym shoes with lights or wheels/rollers are permitted. Dress shoes must be predominately solid brown, black or blue in color. As with gym shoes, dress shoes with highly visible (distracting) graphics, designs and patterns are not permitted. Boat shoes and canvas slip on style shoes in a neutral style are acceptable. For the safety of students, clogs, moccasins, boots (such as Uggs) and sandals are not to be worn at school. Platform shoes or other shoes that are determined to be a safety concern or distracting are not permitted. All shoes that have strings must be tied securely with a conventional knot and bow (the rabbit-ear one taught in pre-school). Hats may NOT be worn in the school building. Hairstyles which obstruct the view are not permitted. Unconventional hairstyles or haircuts (tails for boys, shaved heads, shaved portions, razor chops, lines or other forms of hair sculpting, hair below the collar for boys, hair excessively short for girls, etc.) are not permitted. Hair-coloring or tinting for girls and boys is NOT PERMITTED. Highlighting in a natural hair color is permitted but not to a degree that is considered outlandish or distracting. This applies to both genders. Beginning in the 2018-2019 school year, students will be required to wear St. Joseph gym shorts. We will be placing an order for one pair of gym shorts for all students in grades 2-8 prior to the start of the school year. The $15.00 cost will be added to class/supply fees payable in the fall. 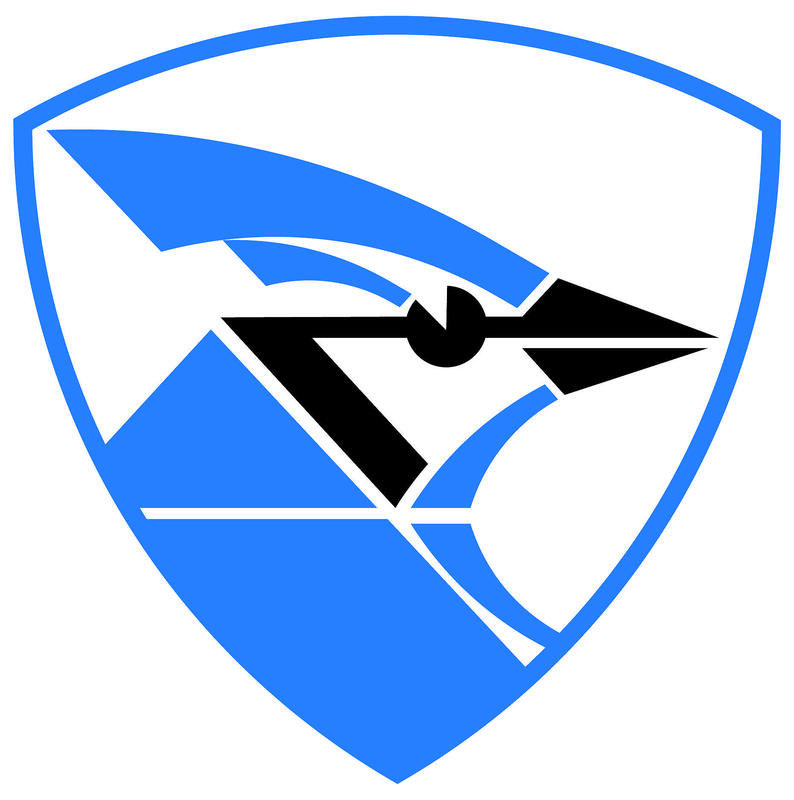 T-shirt choices include hashtag class shirts, Jog ‘n Jam T-shirt, or a new approved gray t-shirt with our new outlined Bluejay logotype center chest. These gym t-shirts can be ordered through Basement Printing. Gym shoes worn for P.E. classes shall conform to the requirements for the standard school uniform. For students who wish to wear sweatpants, St. Joseph sweatpants can be ordered through Basement Printing. No other sweatpants will be allowed. As a reward for various achievements and accomplishments, students may be given an out of uniform pass. This pass will permit the student to wear neat, clean, appropriately fitting, casual clothing. No clothing containing inappropriate (violent, sexually suggestive, crude, or rude) graphics, wording, images, etc. will be permitted. Sweat/warm up style pants (cotton or nylon) will not be permitted. The principal will be the final judge of what is appropriate and what is not. Out of uniform passes may be used on Fridays only. For the safety of students, out of uniform attire does not extend to students’ shoes. Standard school shoes must be worn on out of uniform days (which means, no clogs, moccasins, sandals, boots, etc.). In “out of uniform” situations, shorts must be no shorter than six inches from the center of the knee, and skirts must be no shorter than four inches from the center of the knee. The last Friday of each month will be a Blue Jean Day. Students will be permitted to wear a pair of neat, clean, appropriately-fitting blue jeans with the rest of the school uniform. Students may also wear PTO spirit shirts that contain the school name, crest or blue jay.